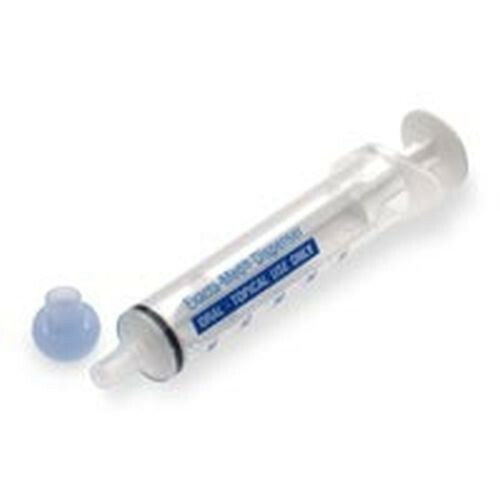 The 3mL Baxter Oral Syringes are used to dispense liquid and administer medicine orally. These clear disposable Oral Syringes can help deliver liquid medication to small children, pets, and people who have trouble swallowing capsules or pills. Made from polypropylene with a Luer-Slip tip, the Baxter 3mL Exactmed Oral Dispenser features a unique blueprint design for an easy-to-read dose line, making it useful for tapering the dose of your medication. Product Brochure contains product information. The picture shows the o-ring baxter syringes that have a narrow silicone band around the plunger that holds up well. The syringes I received are not the o-ring, but have the more typical cheap rubber plungers that wear out quickly. Not what I thought I was getting. Would not have bought if I'd known.